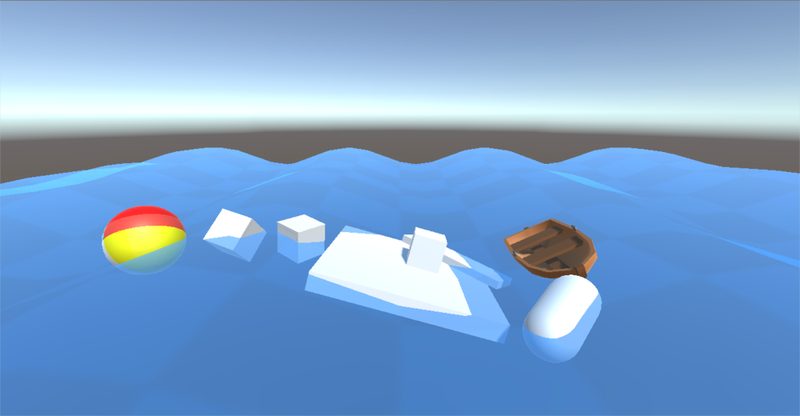 The Buoyancy Toolkit is a code package for the Unity3D game engine that brings realistic buoyancy simulation to your project. Rigidbodies will float when submerged in fluid volumes of different densities and wave functions such as water pools or oceans with large waves. The shape and volume of one or more connected colliders will be taken into account to let the geometry follow the waves realistically. The toolkit is ideal for making anything float in water but can also be used to simulate the lift a balloon or airship experiences in the atmosphere. The toolkit is easy to use and does not require any scripting. Works with the GO Ocean Toolkit out of the box.